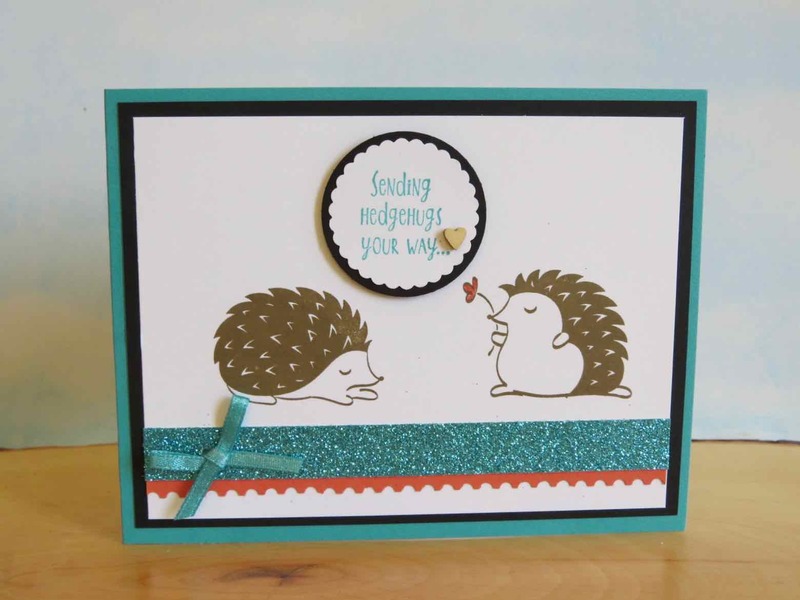 Karina's Kreations: Hedgehugs make me happy! 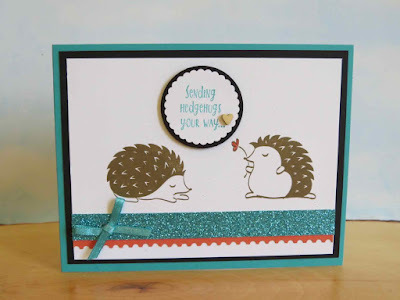 The new Stampin'Up Hedgehug stamp set make me happy. These little critters are so cute! This card is very easy to make. You just need some ink, paper and punches. 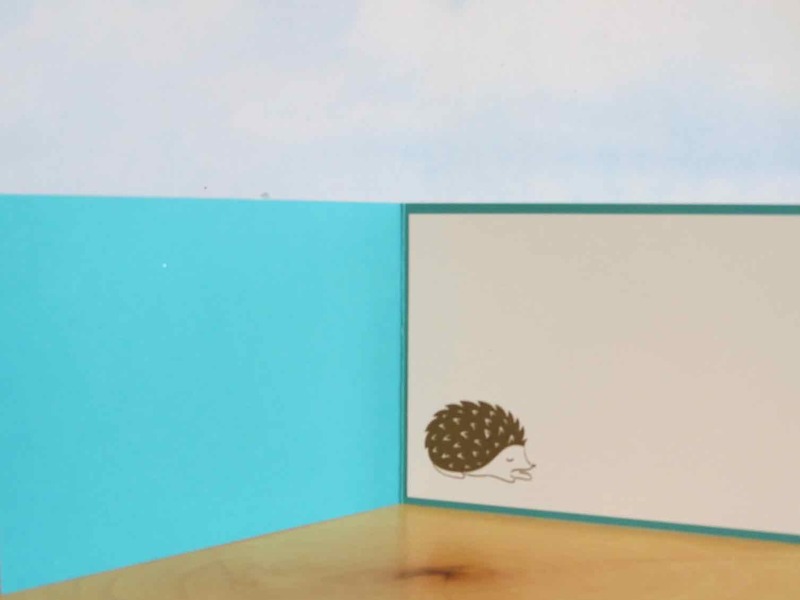 The hedgehogs were stamped with Soft Suede ink on Whisper White card stock. I stamped the greeting with Bermuda Bay ink on Whisper White card stock and punch it out with the 1-3/8" scallop circle punch. The ticket tear Border punch was used on the Calypso Coral card stock. Do you love the glitter paper? You get a 24 sheets in three colors of 6x6 glitter paper for only $20.50. To order any supplies, click on the picture below.